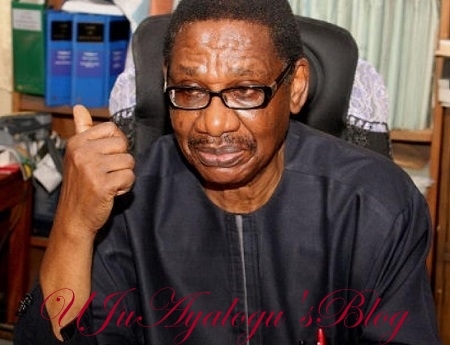 Prof. Itse Sagay (SAN), Chairman of the Presidential Advisory Committee Against Corruption (PACAC), has said his committee cannot investigate the failed $16 billion National Integrated Power Project carried out during former President Olusegun Obasanjo’s administration. Ujuayalogu'sBlog recalls that Buhari had sometime in May hinted on probing Obasanjo over the failed $16 billion power project. Obasanjo, while reacting, said that he was ready for probe over the power project. However, Sagay speaking to Independent said his committee had not looked into the project because it did not have the mandate to do so. He said investigation and prosecution were the responsibilities of anti-corruption agencies. He said: “When the time comes, we will meet with Buhari on the power project. It is an issue that we were not seriously thinking about in my committee. “As I said, the anti-corruption agencies are the ones who have all the facts and figures. “So, we will meet them and give them the initiatives, but if this thing becomes a political issue, it may be necessary to dig in, get the facts and take the appropriate action. “If anybody wants to make capital of politics by running down the government – which is the most upright government we have had since Murtala Mohammed government – then, this government may have to show that it is a government of principle and a government that has a will to suppress corruption, and those who challenge it will face the music. “It is not that we don’t want to look into the issue of the $16 billion power project because of the former president but the truth is that my committee doesn’t have that power. “We don’t do investigation or prosecution. Our work is mainly that of a think-tank. In other words, we do activities to give the anti-corruption agencies greater capacity to make them more effective. “We make proposals to the government to help the fight against corruption. For example, we have been engaged in training of judges and prosecutors both at the federal and state levels. “We have been engaged in preparing manuals for prosecutors to use, preparing sentencing guidelines for judges to use. “We also draft the bill on proceeds of crime which will give the agencies power to seize assets that they suspect have been acquired by crime or illegitimately, putting anyone claiming it under the obligation of establishing how he got it. “We have a draft of that; it is with the National Assembly. We have a special crimes court which would have done more effectively what the Chief Justice has done by saying that certain courts should be set aside for crimes, particularly corruption. “Of course, we also write regular advice to the president over issues that we think are pertinent towards the fight against corruption,” he said.